Edibles are not available for sale and consumption is not permitted on campus. Carleton is committed to providing reasonable accommodation for medical cannabis consumption on a case-by-case basis. Students should contact the Paul Menton Centre and employees should contact Human Resources for more information on the accommodation process. Information on using cannabis responsibly can be found on the Ottawa Public Health website. Marijuana (cannabis) is the most commonly used illegal drug in Canada. In a survey released in 2011 by the Centre for Addictions and Mental Health (CAMH), 18.3% of people aged 18-29 in Ontario use marijuana weekly or daily. 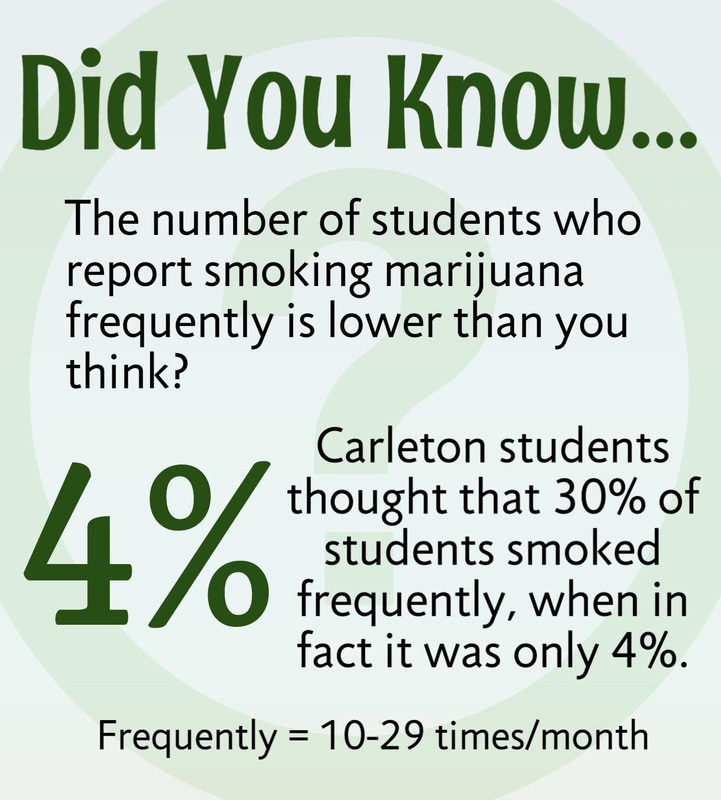 Among post secondary students in Canada, 17% use marijuana monthly and 6.3% use it daily. The choice to not use marijuana is a good one! But for those students who decide to use it, this microsite is designed to present relevant information on the health impacts of the drug, its effects on everyday activities as well as the legal consequences assocaited with marijuana. The goal of this site is to promote self-awareness and reduce the harm to users. E-Toke, or Electronic THC Online Knowledge Experience, is an anonymous online tool that gives you personalized feedback on your marijuana use. The assessment takes around 10 minutes and is self-guided. It requires you to enter information about your marijuana use, lifestyle and demographic. Remember, e-Toke is completely anonymous so only you have access to your results. Once you complete the questionnaire, e-Toke generates a personal profile that identifies your marijuana use patterns, and compares it to local and national college and university norms. The information is designed to empower students to make healthier and responsible choices. If you are interested in learning more about your personal marijuana use, try e-Toke now!